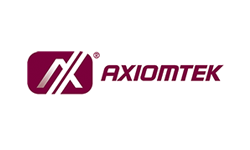 Axiomtek is one of the major design and manufacturing companies in the Industrial Computer & Embedded field. We provide trusted and valuable solution from board-level design to system-level design for vertical markets in automation, gaming, intelligent transportation, power utility, energy saving, POS, kiosk, network security, medical, digital signage, green power and many more! Axiomtek’s comprehensive product lines includes embedded board, system on module, embedded system, industrial PC, network appliance, touch panel computer, medical panel PC, industrial network, and digital signage. Customers come to us when they want a single, reliable, and valuable source for their industrial computer and embedded platforms.